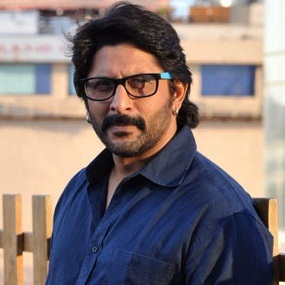 Arshad Warsi was born on 19th April 1968 Mumbai. He went to Barnes School, Nashik district, Maharashtra. As an orphan he had to live by himself when he was just 14 years old in Mumbai. He was a national level gymnast during his school days. He started his career as a salesman when he was just 17 years old. After sometime he joined a dance group in Mumbai and started his choreographing career in Bollywood. In 1991 he won Indian dance competition when he was just 20 years old. He started a dance studio named ‘Awesome’ and had his own dance troupe. 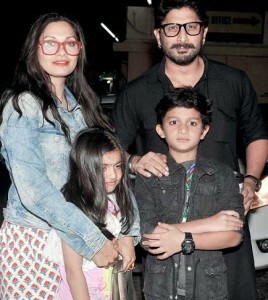 Arshad Warsi made his Bollywood acting debut with Tere Mere Sapne in 1996 alongside Chandrachur Singh, Simran Bagga and Priya Gill. After much success in acting career he ventured into film production and his debut as a producer was Hum Tum Aur Ghost in 2010 which starred himself, Dia Mirza and Boman Irani. After much success as a choreographer he started his own dance studio named ‘Awesome’ and he met college student Maria Goretti who joined the studio to learn dance professionally. She later started her career as VJ. Arshad Warsi married Maria Goretti on 14th Feb 1999 and the couple gave birth to Zeke Warsi, a son born in 2004 and Zene Zoe Warsi, a daughter born in 2007.